Healthcare — KORE Haiti, Inc. Improving the overall healthcare system in Haiti will lower mortality rates and lessen the spread of varying diseases throughout the communities; thus sustaining life and helping develop thriving communities. Our application is coming out soon. Subscribe to be notified first! The region of St. Michel was in dire need of a dentist. We spoke to the community and realized the majority of the community had never seen a dentist! 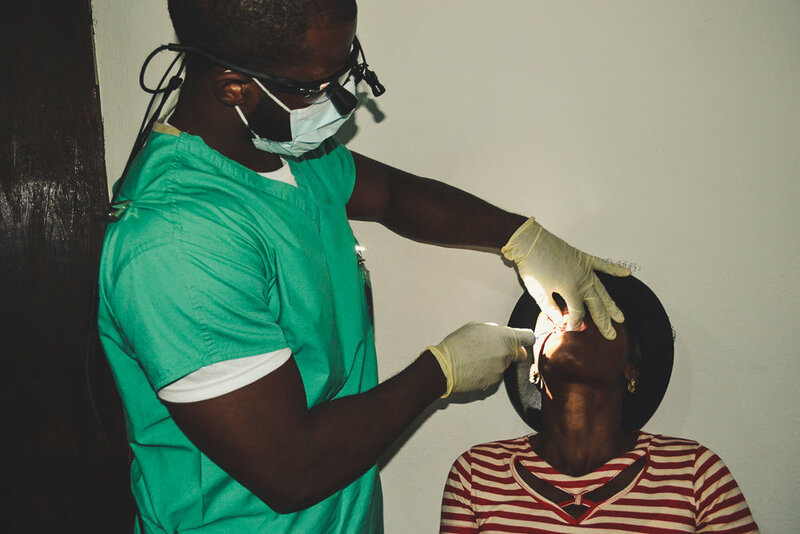 We brought in Haitian dentists from the U.S., as well as Haitian dentists living in Haiti to work beside each other to provide the region with their first dental experience. Now a fundraised dental chair and equipment is available for use in the community for the long-term. Join our efforts in establishing dental sustainability!